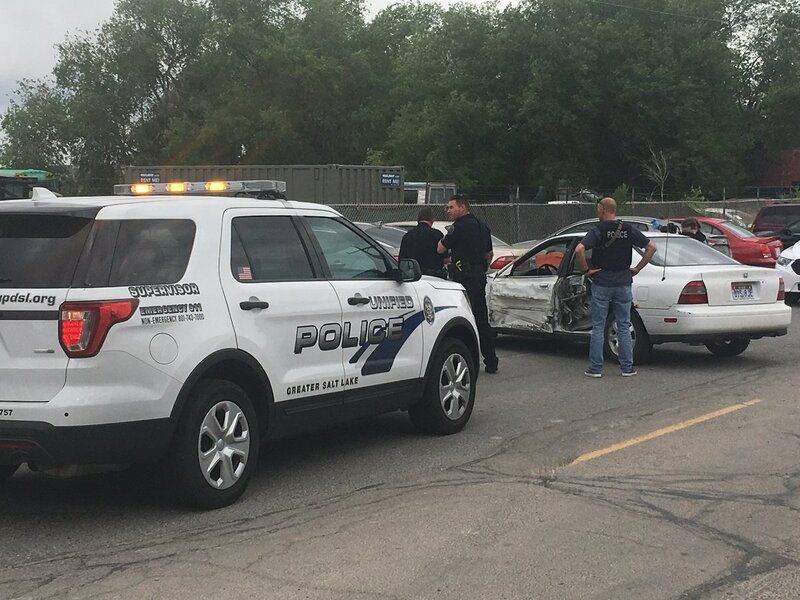 MILLCREEK, Utah, June 1, 2017 (Gephardt Daily) — Police are warning the public to be cautious if they encounter a suspect after they say an armed and dangerous man sped away from an attempted traffic stop, crashed his stolen vehicle into a car, and brandished a gun at a witness before fleeing on foot. 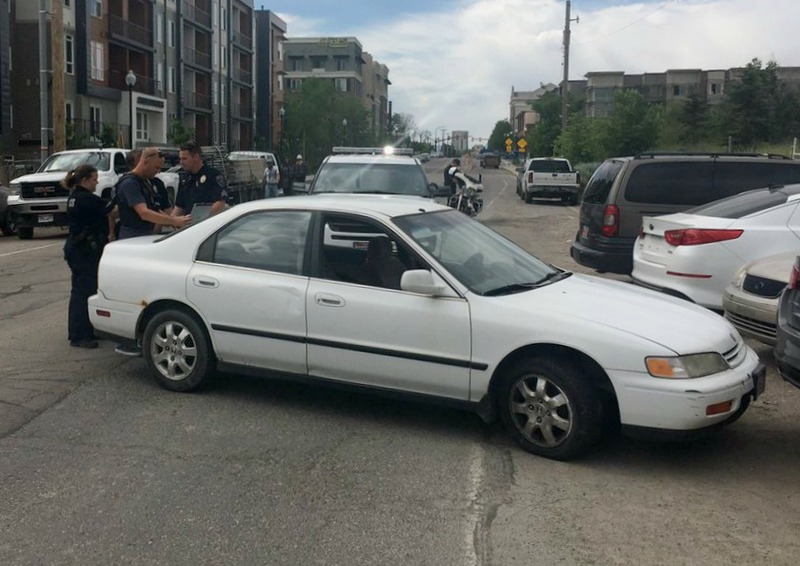 A Unified Police officer checking licences plates for stolen vehicles first spotted the suspect near 250 West and 7200 South just after 10 a.m., according to information from the UPD. When that officer tried to stop the vehicle, which had been reported as stolen, the suspect fled on foot. Soon after, the suspect sideswiped a car in the area of 4100 S. Main. He then threatened the witness with a gun before fleeing the area, according to police reports. The suspect is described as having an olive complexion and a goatee, and standing about 5-feet-6-inches tall. When last seen, he was wearing a white shirt, khaki shorts and sandals. Anyone with information on the suspect’s whereabouts is asked to call the Unified Police at 801-743-7000.